Many divers are drawn to the mysterious depths that lie below the surface of the world’s many bodies of water. Whether it be a shipwreck, a species of shark, or a coral swim through, sometimes our interests take us below the 60 feet mark divers are trained for in the beginning Open Water Diver course. To maximize your diving to extend your range safely to the recreational limit of 130 feet, the PADI Deep Diving specialty is for you. Divers will begin the course by completing the PADI Deep Diving Manual and DVD. Course can be completed locally or on many of our trips. Locally, we have a classroom component conducted on the same night as the confined water training. During the classroom session, students will discuss various concerns related to deep diving including reasons to dive deeper, equipment considerations, as well as gas narcosis. During the confined water training, the instructor will evaluate students’ buoyancy control and instruct them on proper procedures for deep diving including advanced techniques for ascents, descents, and safety stops. In addition, students will learn alternate fin kicks so as to minimize disturbing the bottom. They will also be presented with methods to manage their emergency air supply. The Deep Water Specialty course requires four open water dives to complete the certification. During these dives, students will demonstrate proper buoyancy control, propulsion methods, ascent/descent control, and emergency gas management. In addition, divers will undergo certain staged scenarios to illustrate the effects of deep diving. These exercises include color absorption and narcosis effects and how they impact cognition and response. Divers will need their own personal gear which includes a mask, fins, boots, and snorkel as well as basic scuba gear (BC, regulators, dive computer, wetsuit.) Basic scuba items are available to rent. Students will also need a pair of dive gloves suitable for the local climate. Students will need some form of emergency gas supply, such as a pony bottle. This equipment is available through Pan Aqua. Divers must be at least 15 years of age and have their Adventure Diver certification. Specialty can be completed on many of our trips as an addon or locally as priced below. 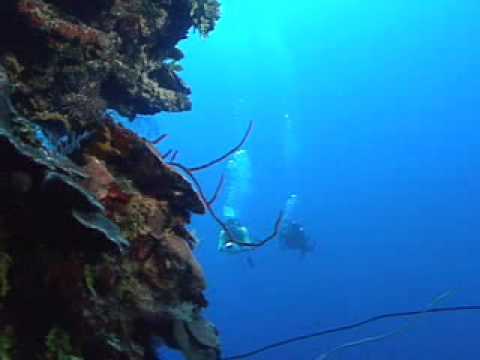 We offer the course locally May through October when we dive at Dutch Springs or complete on many of our dive trips. CONTACT THE STORE FOR SCHEDULING AND MORE INFO!